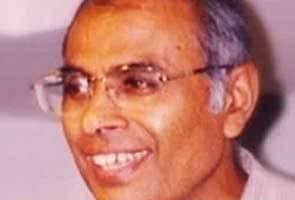 Pune: Renowned rationalist Narendra Dabholkar, who fought for a law against superstition and black magic, was shot dead this morning in Pune in Maharashtra, an incident which sparked grief and outrage in the city and his hometown Satara. The 70-year-old was on his morning walk when he was shot near the Omkareshwar Bridge in the city by gunmen on a motorcycle. The police said four shots were fired at him at close range, two of which hit him in the back of his head. 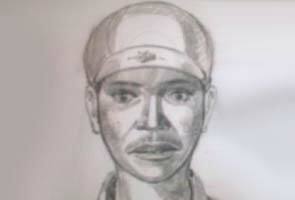 The police have released the sketch of the suspect, believed to be around 25 years old. In Dr Dabholkar's hometown Satara, thousands came out on the streets to pay tribute to a man loved and respected for his campaign against superstition and self-appointed godmen. Political parties also announced a shutdown in Pune on Wednesday. All autorickshaws will stay off the roads. Announcing Rs 10 lakh for any information on the murder, the Maharashtra government called it a planned killing and slammed the police for failing to protect the senior activist. "The incident is a blot on the state police and the government," said Maharashtra's Deputy Chief Minister Ajit Pawar. Dr Dabholkar's murder comes days after the Maharashtra government assured that it would introduce the anti-superstition Bill - opposed by many rightwing groups as "anti-Hindu." It was his campaign that led the state government to draft the Bill. "The investigation has been handed over to the Pune crime branch," said Maharashtra Home Minister RR Patil. "It is serious and I appeal to the people to keep calm." A reputed rationalist known for his campaigns against superstition, Dr Dabholkar had for many years pushed for an anti-superstition Bill in the state assembly. He had also authored several books and was the editor of the "Sadhana" magazine devoted to promoting progressive and critical thinking. Maharashtrian Bride Keeps Date With Polling, Says, "Felt Nervous"